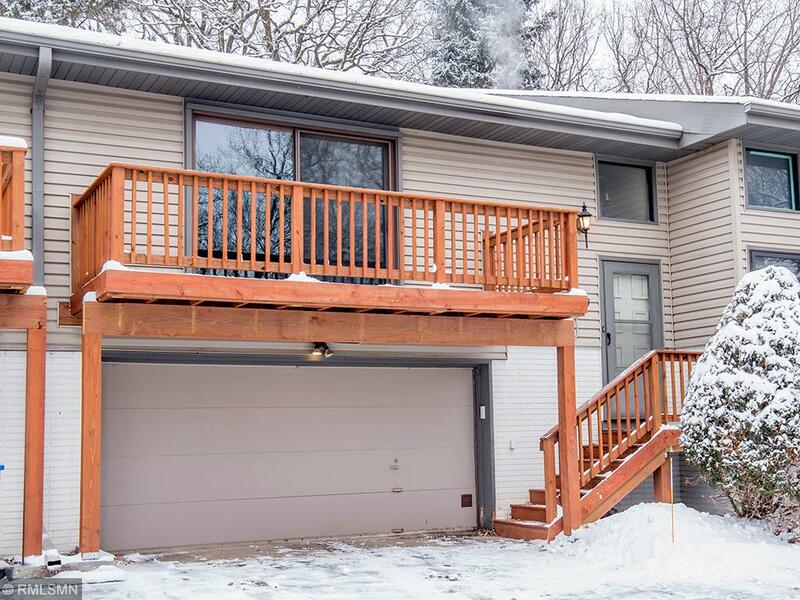 Great potential in this 2 BR, 2 BA TH in desirable Mounds View school district! This home offers natural light from southern exposure, large BRs & closets, peaceful back patio w/nature views, & 2-car garage. Recent updates include new deck, front stairs, fresh paint, remodeled basement ¾ BA, and washer/dryer! Finish lower level to add more finished square feet. Perfectly situated in quiet, wooded neighborhood across the street from Silverwood Park that offers walking paths & Silver Lake beach.